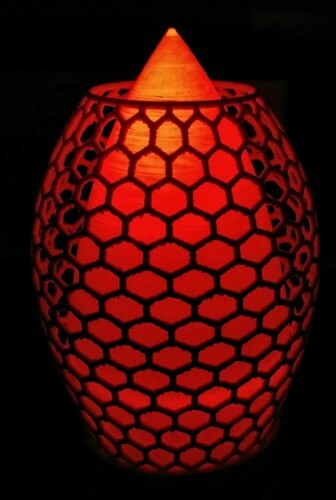 This is like CageLight5 but it uses a hexagonal grid instead of a Voronoi pattern. 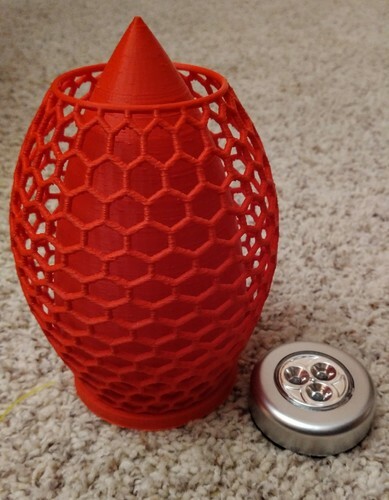 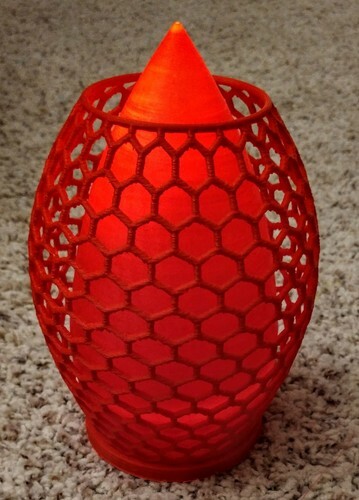 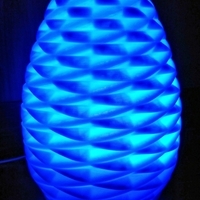 This lamp printed in a bit less than 16 hours using a layer height of 0,200 mm. 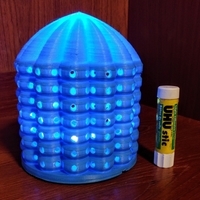 This lamp uses a standard LED "puck" light that can be either battery or wall powered. 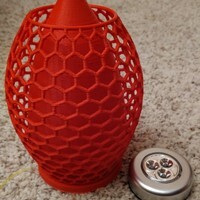 The base includes a cutout for a wall plug power cord. 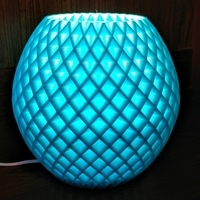 You can find several types of suitable lights by searching online for "LED puck."